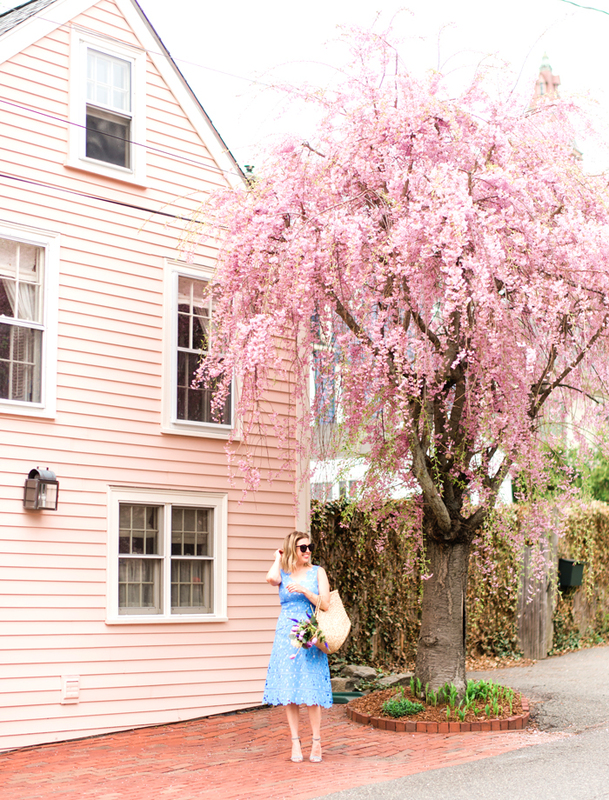 File this under "Things I Already Knew": Massachusetts, you are so stylish! I've really been enjoying your Instagram entries to the H&M 50 States of Fashion Campaign - keep 'em coming! One winner from each state will be selected to win a $250 H&M gift card, and one lucky winner overall will win a $1,000 H&M gift card and a trip to New York Fashion Week. Entering is easy: wear an outfit based on an H&M item and post it to Instagram with the hashtag #HMShopOnlineMA. My current H&M favorites are on either end of the style spectrum: these ultra-casual boyfriend jeans, and this smart jacquard dress. What are some of your favorites from the new H&M online shop? Das Kleid ist einfach nur schick, steht dir. Würde mir wünschen, dass ich so etwas auch tragen könnte. I love your fitted wall paper dress it looks great with your blue clutch. Ummm this dress is H&M?! Obsessed. Yes! Both online and in the Newbury Street store now!